I first saw the animated The Last Unicorn sometime during elementary school, which makes me think, in retrospect, that I went to a pretty cool school. Being a chap of probably less than ten back then, most of the events chronicled in it went over my head, with only the climactic scene in which the bumbling magician Schmendrick turns the titular unicorn into a young woman leaving a particularly strong impression. It would be more than a decade before I’d watch the film again (or at least part of it: like Back to the Future, Unicorn is one of those movies I only run into while channel surfing, meaning I can never catch it from the beginning—which is probably a good reason to actually go ahead and just buy the thing) and realized that, hey, Peter S. Beagle’s story of a unicorn searching of her missing kin is actually pretty fantastic. The Last Unicorn is one of those works I associate with winter, particularly with the idea of keeping warm by drinking hot chocolate by the fire. It’s not just a warm story, but rather one that brings about a feeling of comfort only after reminding you just how sad and cold the world can be. It’s a hard balance to get right—when it comes to sequential art, the only works to manage it which easily come to mind are Calvin & Hobbes (which itself occasionally made explicit use of the keeping warm by the fire imagery)and the Tom and Mary Bierbaum / Keith Giffen run on Legion of Super-Heroes—but when it occurs, it makes for some of my favorite works. The various moments here—the aforementioned one where the unicorn is turned into the human Amalthea, doomed with humanity and mortality; or when Molly Grue, a cook for a group of brigands who once saw a unicorn in her youth, chastises the protagonist for leaving her to grow old in a world without magic—make the story memorably bittersweet in a way few other things are. So when I realized that there was a comic book adaptation extant, I knew I had to have it. Now, one could very well argue that the world did not need another version of Unicorn. The original novel is, of course, a classic, and the film, which feels like an American attempt at making a Studio Ghibli film before Studio Ghibli films became a thing, felt for the longest time like the best possible adaptation, making it very easy for a third take to feel superfluous. If that doesn’t occur, it is because this version features more than a hundred-plus pages of beautiful Renae De Liz art, which is something the world very much needed more of. De Liz is probably best known as the mastermind and North Star behind Womanthology, the series of women-created anthologies that got its start as a Kickstarter project. Had that been her only contribution to comic books, it would have been enough for me to respect the heck out of her, but the fact is that she is also one hell of an artist, who carries the book with aplomb and makes it look easy, establishing visual identity for the world that feels very familiar and right and yet is distinct from the one already established by the film. And while there are, to be honest, some things in which I prefer the movie’s take—Shmendrick and Molly Grue, the story’s co-stars, are prettier here, which as a fan of stylistic ugliness takes away some of what made them appealing to me—this feels, in balance, like nitpicking: all in all, De Liz imbues the world of the story with a lushness and detail that easily lives up to anything I might have been able to imagine, and deserves a whole lot more recognition. 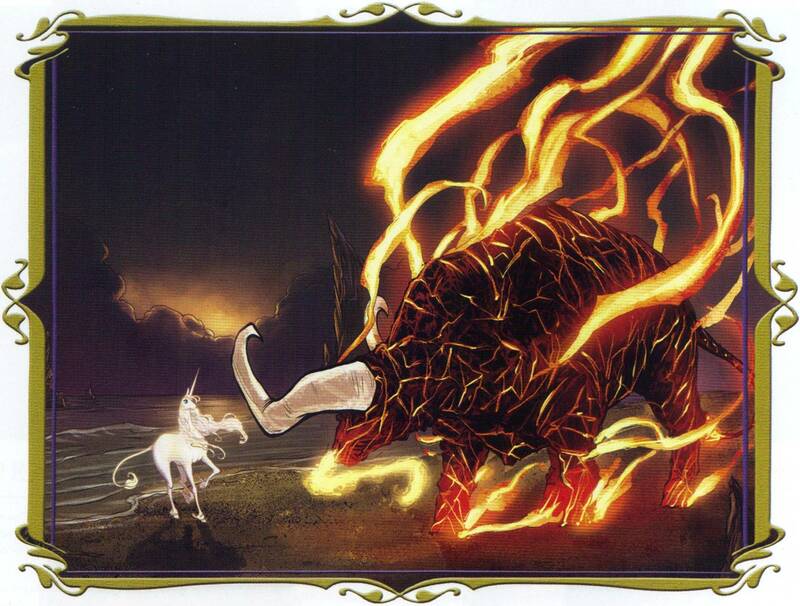 Of special note is the unicorn’s antagonist the red bull, who looks like chaos personified, and every bit the creature of magic and chaos and mystery that he’s supposed to be. However, the book would be empty it is if it weren’t for Ray Dillon’s colors, which are lush and vibrant and oh-so-pretty, the best I remember seeing in recent—or even long-term—memory. I am particularly in love with his sunsets, which are goosebump-worthy marvels of red and oranges (I love Dillon’s reds). They are the perfect complement to De Liz’s pencils. It is partly because of Dillon’s colors that the the graphic novel ends up feeling warmer than either predecessor—it’s less like winter and more like a beach bonfire in August. Thanks to its palette, the scarcer prose and the lack of voice acting—or perhaps I’ve simply gotten older–the moments of sadness I mentioned earlier don’t have the impact they used to. 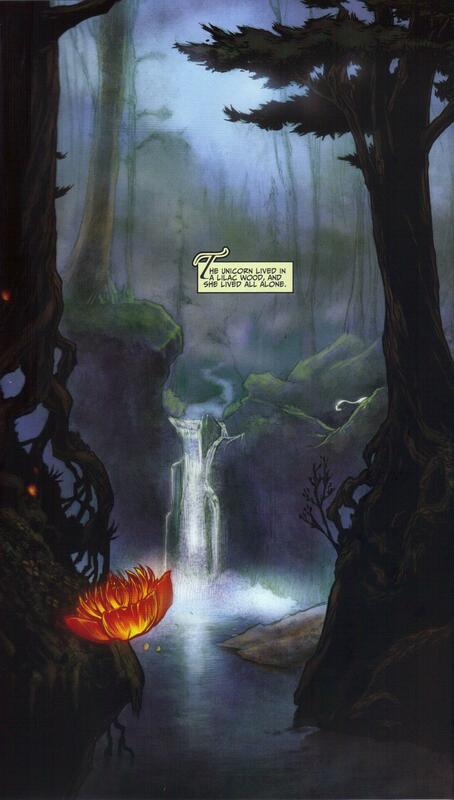 That said, the book does plenty to make up for this, particularly in moments that were unremarkable in the other version are made to pop here, particularly in the graphic novel’s quieter, more sedate moments, such as when the characters travel from one location to another. It is in these moments where the art really gets a chance to shine, with some moving landscapes and imagery. This, combined with the greater faithfulness to the source material, positions the book as an equal to the film version, with many things to offer and nothing to be ashamed of. With all that talent displayed by the book’s visuals, it’s perhaps not surprising that Peter B. Gillis gets a bit lost in the shuffle. He’s the person in charge of translating The Last Unicorn to comic book form, and while that may not necessarily seem like the hardest job in the world, it’s also something that, done sloppily, would have robbed the material of what made it special. As someone who’s done some translating, I can appreciate that knowing just what to keep and how takes genuine craft, and so he also deserves his share of praise for making the book what it is. Aside from the actual story, this collection includes a good amount of bonus material, which makes it, with its $24.99 tag, one of the more reasonably-priced IDW books I’ve seen. There’s surprisingly in-depth interviews with Beagle and Gillis, a showcase of assorted art, including a sextet of lovely Frank Stockton pieces of which I assume served as the original mini-series’ variant covers, and a selection of double-spread splash-pages from the book itself, stripped of text. Those last two, while appreciated—I would almost certainly consider buying a version of the book entirely without text, were it available–also make the collection come off as a tease, since they deserve far more space than is actually alloted to them. I suppose IDW wanted to leave something for the twice-as-expensive Deluxe Edition, but still, it sours what is otherwise a superlative package. When it comes to comic book adaptations of existing works, the words that most often come to mind, in my experience, are “uninspired”, “disposable”, and “cynical” (which may, for all I know, be a sign that I need to read more of them). For some reason, the medium’s chronic low self-esteem is particularly evident when it comes to works which weren’t conceived as comic books, and it often feels like those in charge of translating that existing story into the new medium have no interest in taking advantage of the possibilities it offers. 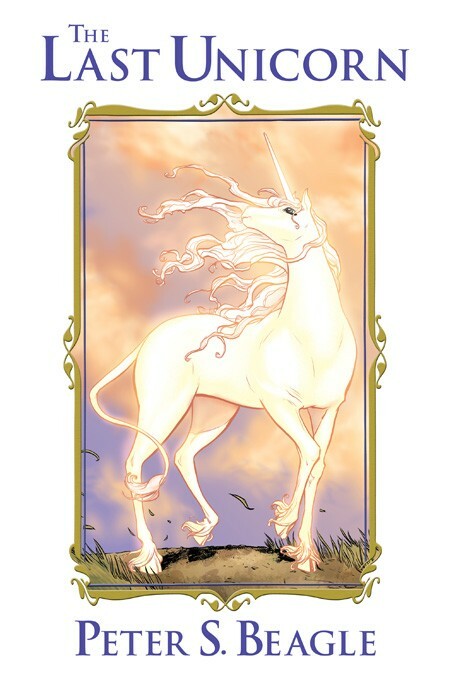 In contrast, this version of The Last Unicorn, feels, from beginning to end, like a work of love, succeeding not only in being a damn good adaptation, but in being a excellent comic book as well. And while the chances that we’ll ever get to revisit this particular world are none to none, I wouldn’t mind at all seeing this creative team reunite somewhere down the line to work on something new. It might not feature unicorns or even fantasy, but I’m sure it will be nothing short of magical. If this were just one hundred or so pages of Renae De Liz pencils and Ray Dillon colors, it still be more than worth its price tag. The fact that it’s also an adaptation of a fantastic book grants it a special place in my heart and bookshelf, and so I have no problem with granting it an utterly biased 5 out of 5. 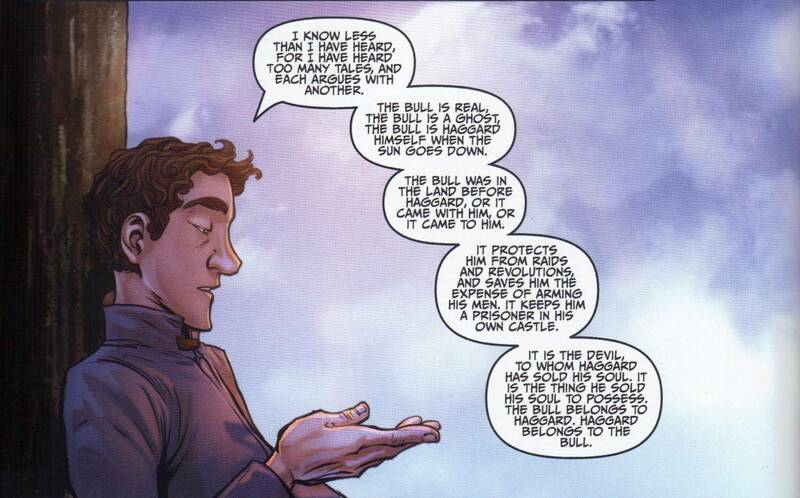 Yes, in the sense that the book covers the entire story of the last unicorn. While you don’t have to read the original novel in an attempt to find out whether you’ll like the story before actually buying the more expensive graphic novel, that’s certainly a possibility. …alternatively, you can read this first, and then read the novel. Beautiful work on this review, dig the images! I wasn’t even thinking about this book since I thought I might read the book after the cartoon but not a comic version of a book turned into a cartoon. Then I saw the art and I’m seriously reconsidering. Thanks Ian!